Canadian Solar issued the following announcement on Jan. 7. 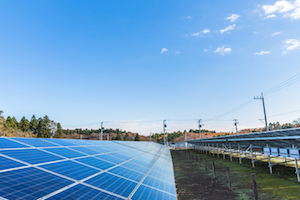 Canadian Solar Inc. ("Canadian Solar") (NASDAQ: CSIQ), one of the world's largest solar power companies, today announced it has completed the sale of its 18 MWp portfolio of PMGD solar power projects in Chile to Sonnedix. The transaction was closed in December 2018 and the Company expects to recognize the majority of the revenue from the sale of the projects for the fourth quarter of 2018. Want to get notified whenever we write about Canadian Solar ? Next time we write about Canadian Solar, we'll email you a link to the story. You may edit your settings or unsubscribe at any time.